What are the advantages and disadvantages of traditional, hard-wired, pneumatic valves? 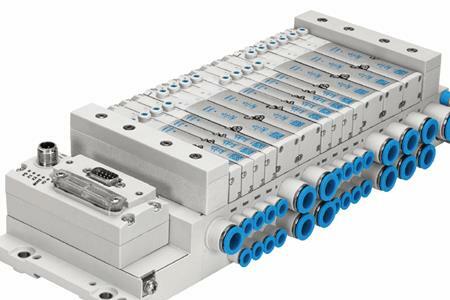 Traditional automation systems control each pneumatic solenoid valve via a discrete output module. Each solenoid is either wired individually or via a multicore cable. The advantage of this installation concept is that the installation and wiring process is simple and straightforward. As long as the technician can read a wiring diagram, they can accomplish the installation. Historically, the overall capital cost of this solution was also the lowest, when compared with more sophisticated options. The disadvantage is that the installation is labor-intensive and the solution lacks any real diagnostic capability. Troubleshooting can be straightforward, but time-consuming, often requiring the technician to inspect many individual wires to find a fault. Intermittent faults are especially frustrating.